The second day of my East to The West roadtrip was another long haul. 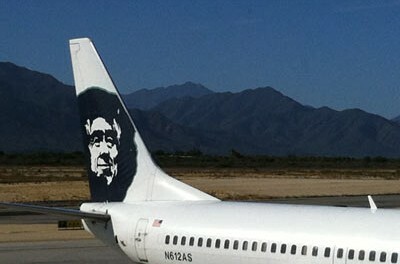 The route was Winnemucca to Boise. 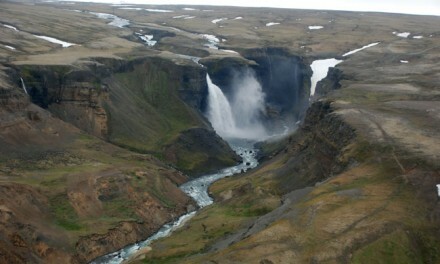 On the agenda was not much more than driving and admiring the scenery. Some would say there isn’t much to see on the long haul up old U.S. Route 95. But I’m a student of semi-arid and desert landscapes. Well, not a student, because that would imply I know something. Let’s just say I’m a great admirer. Route 95 is one of the original U.S. highways proposed in the 1925 Bureau of Public Roads numbering plan. Unlike a lot of old roads, it doesn’t seem to follow any of the old pioneer trails. But then most of those go East to West and this goes North to South — one of the few original U.S. highways to stretch from Canada to Mexico. Because it seems to have been routed through as many deserts as possible, it’s still pretty much unchanged from when it was established. Just the way I like my roadtrip routes. 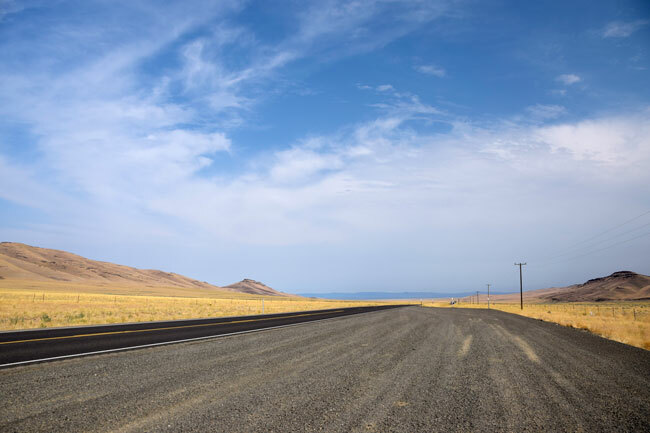 Leaving Winnemucca, I traveled through alkali flats and the furthest edges of Nevada’s Black Rock Wilderness. I was also surprised to find myself traveling through the Sonoma Range — which Wikipedia speculates was named by a miner from my Sonoma as it isn’t from the language of the local tribes, most notably, the Paiutes. And speaking of the Paiutes, I was disappointed that Sarah Winnemucca didn’t merit more extensive celebration in this area. The Humboldt Museum in Winnemucca had very little information on her and I only by happenstance stumbled across an information board on her at a half abandoned rest stop pull-out. An activist, educator, author and tireless advocate for her people, Sarah Winnemucca deserves greater acclaim than just having a dusty casino town named after her. Route 95 took me through Sarah Winnemucca’s old stomping grounds, including through the Paiute Reservation at Fort McDermitt. Up here on the Nevada/Oregon border, I experienced another abrupt geographical transition that occurred almost as soon as I crossed the state line. 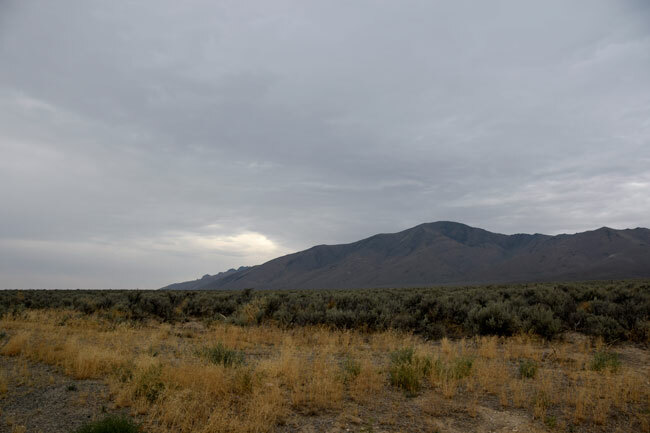 The landscape went from moody dark alkalai and sagebrush landscapes. 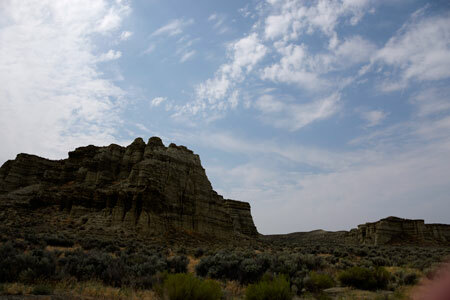 To sunny golden grasslands and eroded buttes. Speaking of eroded buttes, I took a three mile detour off on a bumpy dirt road to see a formation called The Pillars of Rome. 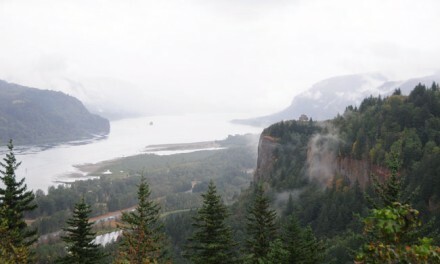 I also stumbled across something I hadn’t expected to see until much further north, a Lewis and Clark site. I guess this doesn’t count as part of the Lewis and Clark trail. 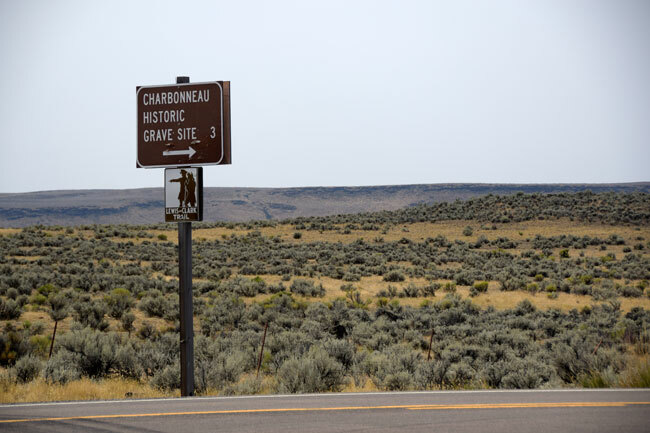 It’s the gravesite of Jean Baptiste Charbonneau, also called Pompey, who, as an infant, accompanied his mother Sacagawea on The Voyage of Discovery. As an adult, he became a famous mountain man and guide with a lot more California connections than I’d realized. On a trip back to Shoshone lands, he died of pneumonia after crossing the icy waters of the Owyhee River. As I continued on into the Owyhee Range, I learned that the name is an archaic spelling of Hawaii. Apparently a number of Hawaiian natives were brought back to the Northwest to join fur trapping expeditions. 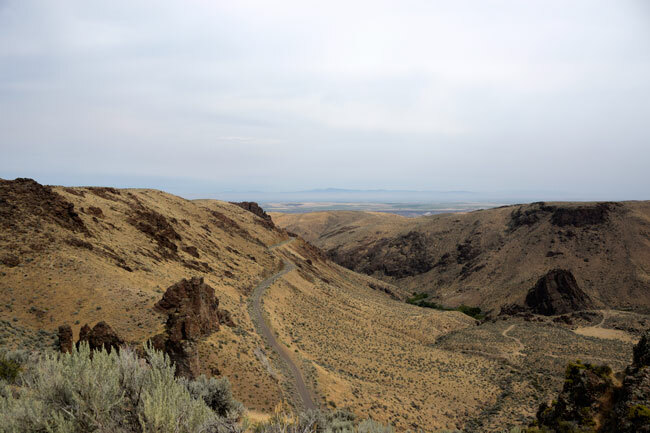 When a group of Hawaiians were lost on an exploration of the Snake River, the area was called Owyhee in their honor. I’m not sure those Hawaiians would have found much that was familiar in this landscape. By this time, I’d crossed into Idaho and I picked up the pace in order to have plenty of time at The Peregrine Fund’s World Center for Birds of Prey. The public area of the Center is small but packed with information. But their main work is research and captive breeding of endangered birds, especially raptors. In fact, they are now one of the premier breeding locations for California Condors. The Peregrine Fund deserves your admission fee. 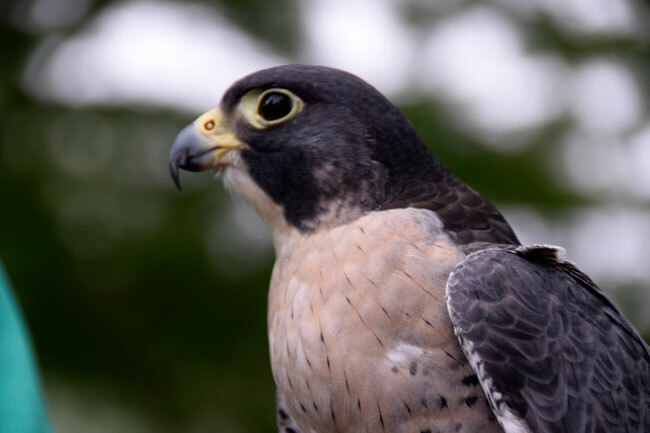 Their great success story was playing a leading role in bringing the Peregrine Falcon back from near extinction in the U.S. through captive breeding and tireless lobbying against DDT which was thinning the birds’ eggs. Now the population of Peregrines is stable and off the endangered list. It’s one of the big conservation success stories. Besides the chance to see some of their Condors and a variety of raptors up close and personal, one of the best features of the Center is the hourly program where handlers bring out a variety of their birds for show and tell. This is Gus the Peregrine. He’s the fastest animal on earth with a swooping speed of nearly 200 MPH. 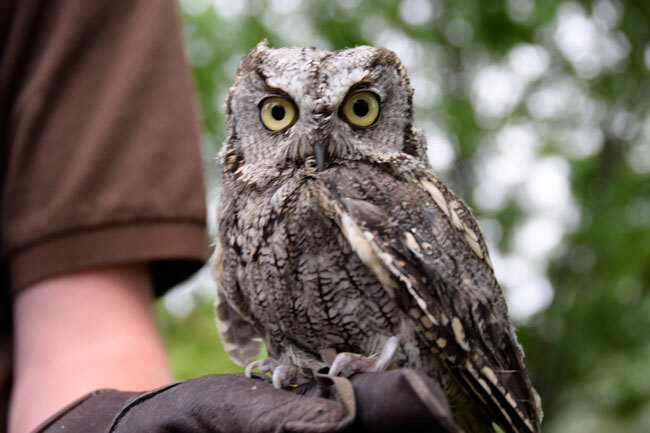 Meet Winston the Western Screech Owl, who I learned doesn’t actually screech. Click here to hear the calls they really make. All in all, a great roadtrip day, ending with one of my last urban stays. 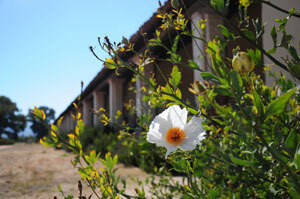 Starting tomorrow, I’m headed to more rustic accommodations and adventures. I’m also headed out of cocktail and wine territory into the land of beer. I don’t do beer. 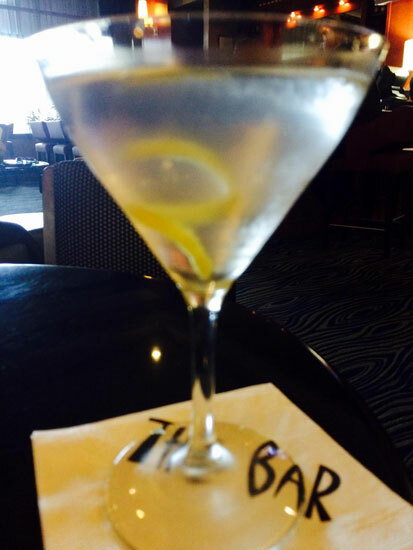 So I enjoyed a farewell Martini at Boise’s Grove Hotel. This is the East to the West Roadtrip. You’ll find my trip preview here and my Day One adventure here. Thanks for the link to the owl’s call, especially. Multi-media blog post. Very cool. Love this post. Thanks for the link about Sarah Winnemucca. I learn so much from your travels! Years ago, I went to the Liberty Bowl here in Memphis. The Air Force Academy was one of the teams playing. Before the game, their falconer brought out the mascot peregrine for a demo flight. This magnificent bird circled the stadium, and then hovered about 20 feet about where I was sitting and stooped for a few seconds, looking around at us, before screaming down to center field to hit the lure. I could hear the whisper of its wings. What a moment. Raptors are such fascinating creatures.